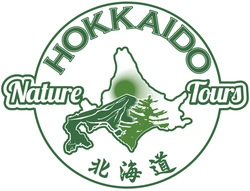 Want to try a new craft, learn about Japanese culture or how to cook a typical Hokkaido meal? Our Craft, Culture & Cooking Courses offer a wide variety of activities all over Hokkaido, including: soba noodle making, glass blowing, ceramic arts, wood crafts, kimono fitting, tea ceremony, Japanese calligraphy, dessert DIYs, cooking a seafood lunch with fishermen's wives, kelp harvesting, and much more! ​​Choose your favorite workshops to add into your Custom-Made Tour itinerary. ﻿Enjoy the culinary art of soba noodle making. 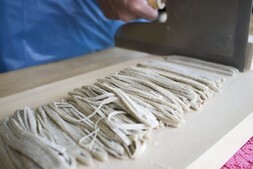 There are many chefs prepared to teach you their soba making secrets, mostly in rural areas and on serene farms. Of course, you will eat your handmade soba and often have enough left over to take with you as well. This is an activity that is easy to add onto a larger tour. Receive expert instruction on how to mold and glaze any type ceramic art. Create mugs, bowls, plates, teacups, flower vases or anything else you wish. There are various ceramic arts studios around central Hokkaido waiting to share their knowledge with you. ﻿Have a firsthand experience of dressing in a full kimono as staff teach you how to put on a kimono. You can then stroll around the city in full attire and visit some photographic sightseeing locations for unique photos from your trip. Available for women, men and children. Learn the techniques of wood-craft carving from the artists themselves. 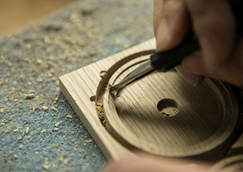 You can construct simple models and inlay works from Hokkaido sourced wood. Great for personalized gifts. We'll travel to a small coastal fishing village for a seafood DIY lunch making activity, taught by the wives of local fishermen! The menu will be decided on the day depending on the morning catch, so you can be assured that only the freshest seafood will be used in the meal. This authentic, grassroots activity is not to be missed by seafood lovers and budding chefs. Learn how to make ice cream from the base ingredients - including Hokkaido's famous high-quality milk - or try the caramel making DIY workshop at a farm outside Sapporo. Choose cheese making - from Mozzarella to fresh cheese - or make jam by hand at a Jam making facility outside Furano. We have many food DIY options available, so don't hesitate to ask. Hokkaido's indigenous Ainu People - the islands original inhabitants - have preserved many aspects of their rich culture which visitors can experience today. Try the Mukkuri Harp DIY workshop and learn to play the Ainu "Jew's Harp", the embroidery course to make your own Ainu-inspired designs, or learn Ainu song & dance at a representative cultural village. The ancient art of calligraphy started in China many centuries ago, but reached its apogee in Japan's modern history. Learn how the masters focus their minds and control their breathing to create flawless strokes of art using special brushes, calligraphy ink and paper. Choose a kanji word and writing style, and after many drafts, compose your personalized calligraphy work on a paper fan or calendar background. 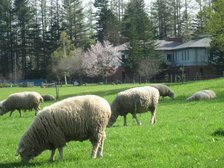 Go out into the fields to shear a sheep, then use the wool to make crafts right at the farm. Learn about the lives of sheep farmers in Hokkaido while experiencing the complete process of how woolen products are made. 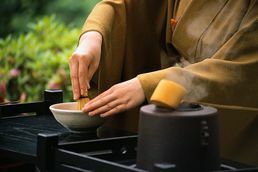 Sadou, or Japanese tea ceremony, is an art form unique to Japan which started as a Zen Buddhist practice over 10 centuries ago. You can still experience the ancient ceremony and elaborate ritual today. Enjoy being taught and served by a sadou practitioner as you sip matcha, or powdered green tea, and nibble on traditional sweets. This activity is only available in Sapporo. The process of making mochi, Japanese rice cakes, is both fascinating and pretty good exercise. 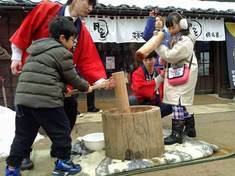 Learn how rice is turned into the sticky-sweet dessert as you pound it with a heavy wooden mallet.